This is my favorite time of year!! I love the outward expressions of compassion, empathy and love that people show more frequently and openly at Christmas. People fill the community coffer's more, and open their eyes to helping others more readily than they would at any other time of year. During this time of giving --an inner conflict can arise to justify the gluttony that we mainstream Christians will experience. It can raise feelings of guilt for the millions whose ~basic human needs~ are not met. While we're feeling overindulged, and showered in gifts, some people literally have nothing. This is a time to remember that giving is far more rewarding than receiving, and service to others enriches our souls. This is what Christmas is all about right? It also makes us average American families really think about what on Earth our kids really "need". We (as a society) have made this holiday so much about Santa and presents, and less about giving and remembering the Christian values that constitute the meaning of Christmas. Without conscious effort and meaningful actions, you can be drawn into the retail world's version of Christmas in hopes of sales, sales, sales. Sometimes, it seems more like a mass media marketing strategy based on pulling heart strings, instead of organic giving. What ever happened to an earnest sense of compassion and genuine giving to others. I remember a time when we sought out people who needed an extra bit of help, and the rewarding feeling that came with making a difference in their lives. I can't open everyone's eyes to that, but I can do my best to focus on planting the seed of giving in my children, and to do my best to raise giving children that leads to more giving adults without a sense of undeserved entitlement. Safety" comes next: including family, security, body health, etc. I can't help but to see a pattern developing (in regards to life with food allergies). The "Food Allergy Mom" in me sees an important psychological observation here. What's to be expected when our kids with food allergies' basic human psychological and safety needs are constantly called into question in their minds and that of their peers/families/societies? Will this inability to find security in Maslow's plank of physiological, safety, and family support lead to a constant imbalance throughout their life? How will this magical hierarchy adapt and change to their ability to find love and a sense of belonging, self confidence, and self actualization? Or, do the parents of the 1 in 13 kids affected with a potentially life threatening food allergy need to take a different, less traveled route to help their kids reach a positive self image. Do we need to hover, micromanage, and control their environment until they can do it for themselves? That's a personal decision, but my input is absolutely YES!!!! I've never been one of those parents who lets society raise my kids It is my experience that living with a food allergy propels one from being ordinary, due to the lessons on food, lessons on invisible antigens, and learning the big picture between these kids health and people's inability to provide and understand safety, to extraordinary! The thing about these kids is that I have yet to meet one of them that hasn't surpassed ordinary in their own effort to find their place in society to become extraordinary and brilliant! The obstacles these 15 million Americans face, and persevere from, grows a deep level of character, one that's, too often, overlooked and underestimated by far. With a "disability" comes being underestimated. People are often surprised by their mere existence, let alone their amazing contribution to society. My eldest never focuses on what's out of her reach because she doesn't see anything holding her back. Instead, she sees things that need to be addressed and fixed. If there's something she wants or wants to participate in that isn't safe, she creates it. There's no self sympathy--only problem solving, logic and building deep seeded core values. With that I should also say that we don't give her "special" pro ledges and we hold her accountable for herself and her actions. At the tender age of 5, my eldest suffered an anaphylactic reaction to a store bought Princess lipgloss. The problem with labeling in the U.S. is that if something is not classified as an edible it's not required to list ingredients. Egregious right? So, because of that lack of needed knowledge--her life became threatened. Instead of deciding to go without lipgloss and wallowing in self pity and despare of her "invisible disability", she created her own lipgloss line! Her brand, Lil' Wahine Organics http://lilwahineorganics.weebly.com/about.html (meaning Little Girl In Hawaiian), helped filled a void in the market that was unheard of before her. Lil' Wahine is hand-crafted in test units based on customer allergens making it safe for all who live with food allergies. Her complete transparency mission sets her brand apart from others, and gives EVERYONE a chance to sparkle and shine! 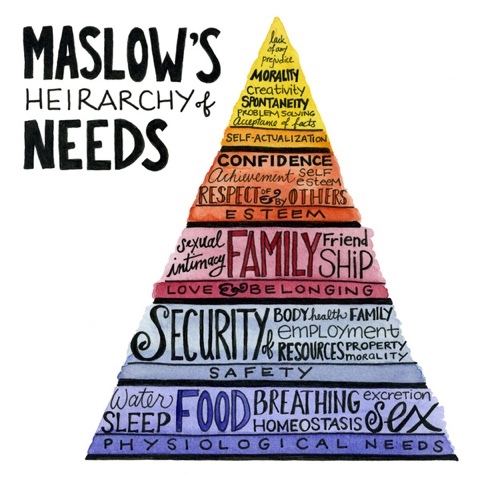 So, how are todays kids restructuring Maslow's 1943 Hierarchy of Needs? In a generation plagued with food allergies, asthma, ADHD, and Autism they develop (early on) some amazing core values that take the most accomplished adults some personal experience to get a handle on. Compassion, proactivity, inclusivity and paying it forward is the platform they spring all ideas from. Here's an example: Last Christmas, my daughter asked to start her own business to help others have a chance to sparkle and shine for her Christmas present. This year, we're taking the girls to a women's shelter. We want them to see the struggles others face, and learn to give to those in need. If you want people to expect to understand your situation, you must make an effort to understand theirs. That's just common decency and raw humanity. I don't know what my children are more ecstatic about: giving or receiving this Christmas. Both are exciting and rewarding. They've spent so much time baking and preparing for the families in need, and I'm so proud of our daughters for being compassionate to others' needs, instead of focusing on only their own. In our world, that could be an easy thing to do--but not my girls. 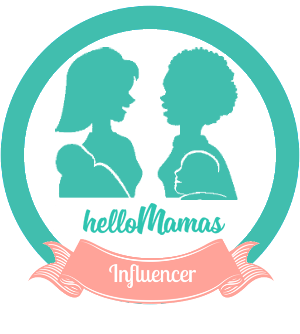 Along with being a child entrepreneur, she's a vocal spokesperson and Ambassador for Food Allergy Resources & Mentoring (FARM) http://www.fa-resources.org , our non-profit working toward bring awareness to the growing food allergy epidemic. It is through this public persona that she has been able to break her silent suffering and flourish exponentially. It's an amazing gift to help others, one I'm grateful that our children see.